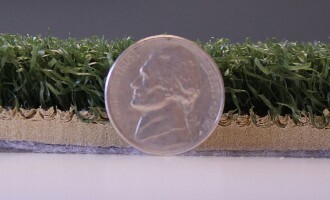 Raise and lower from the ground. No ladders… really. 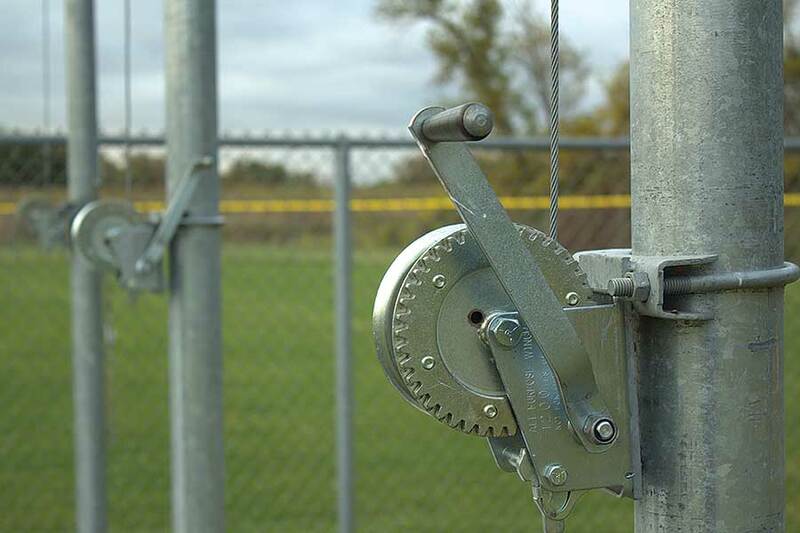 Setup and take down are incredibly easy with our simple-to-use winch system. 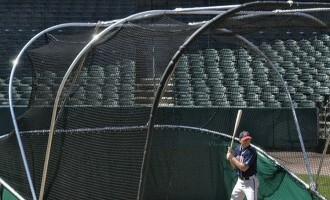 And, this cage takes care of itself with our exclusive FUSElink Overload Protection system. 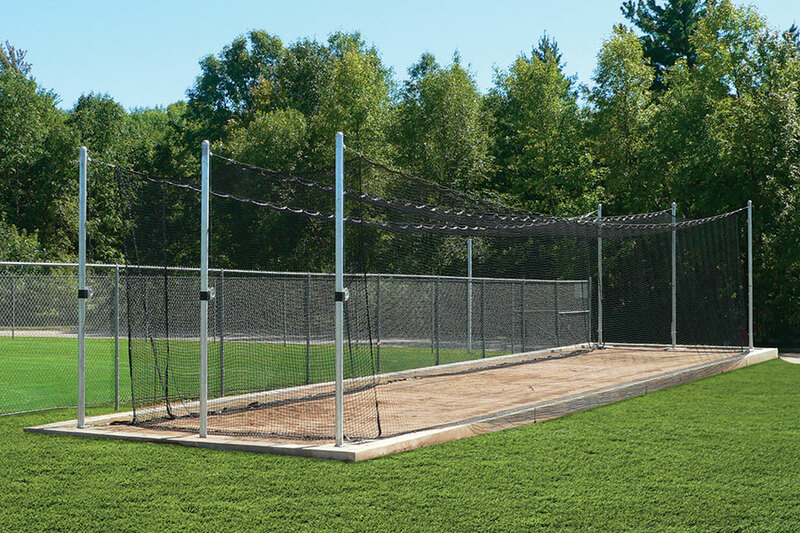 The TUFFframe ELITE makes on-the-fly tensioning adjustments easy. 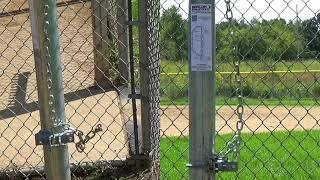 The winch handles are removable so tensioning cannot be tampered with by unauthorized personnel. 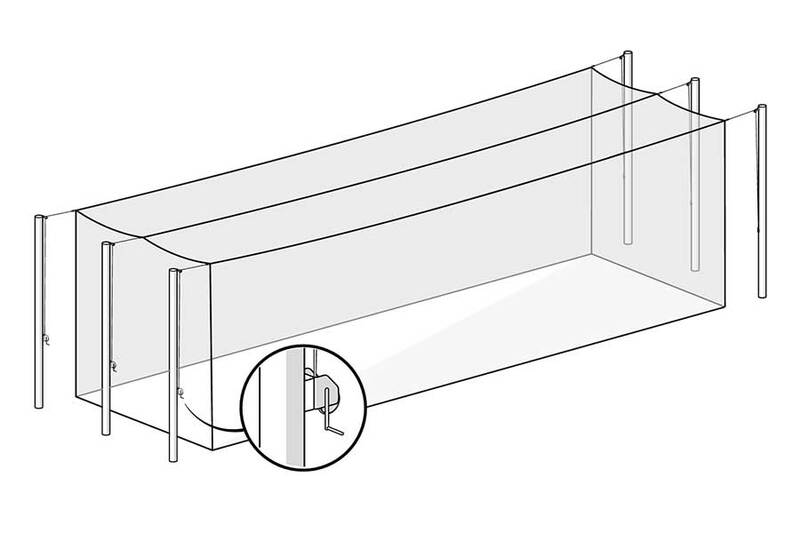 With only three poles on each end, there are no intermediate pipes or overhead structure to create a ricochet hazard. 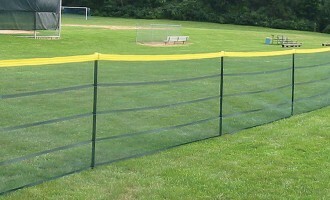 Add optional grounds sleeves (1 per pole) to streamline installation. Setup and take down from the ground — no ladders! Heavy-duty 4″ schedule 40 steel pipes and superior net. Pre-installed overhead cables and net-stabilizing ground cables. 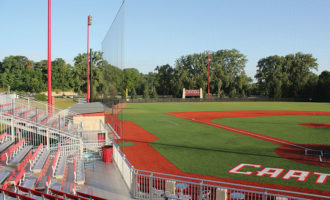 Multiple cage configurations — single, side-by-side, end-to-end. 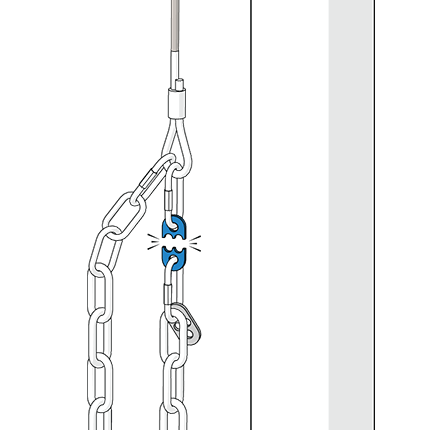 12′ x 8′ net protector included. 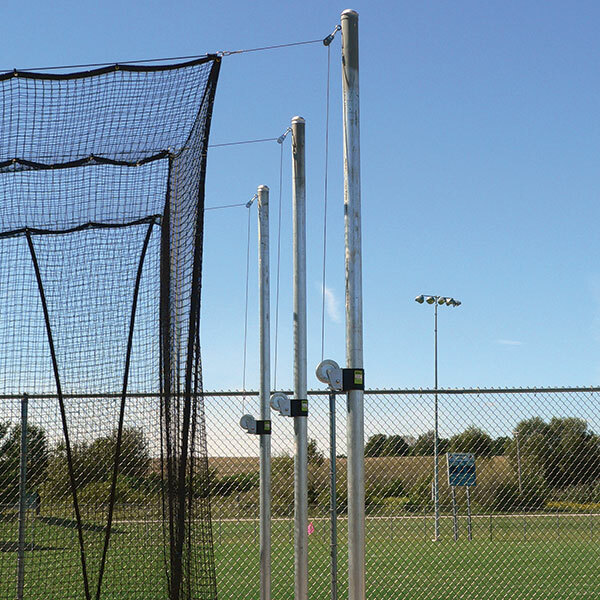 Add to your batting cage to get the most out of it. 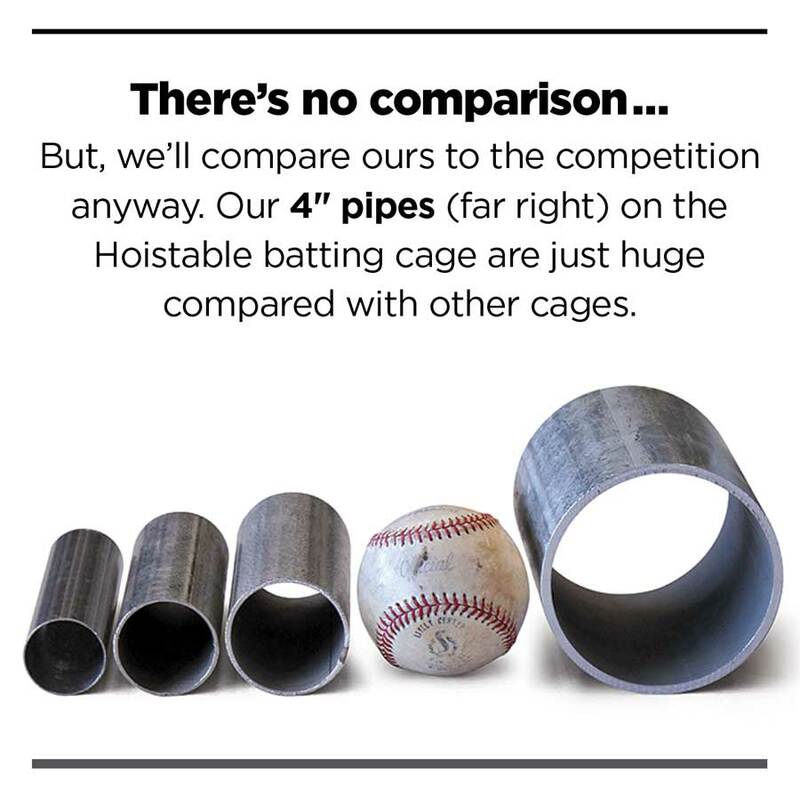 See our Batting Cage Accessories. Ground Sleeves & Caps: For situations when the cage needs to be completely taken down, poles and all. Outdoor Batting Cage Accessory Kit: Includes green 6′ x 12′ Hitting Mat without Home Plate, Pitcher’s L Screen, and Green 7.5′ x 7.5′ Vinyl Net Protector. Your guard against hardware failure.